No. 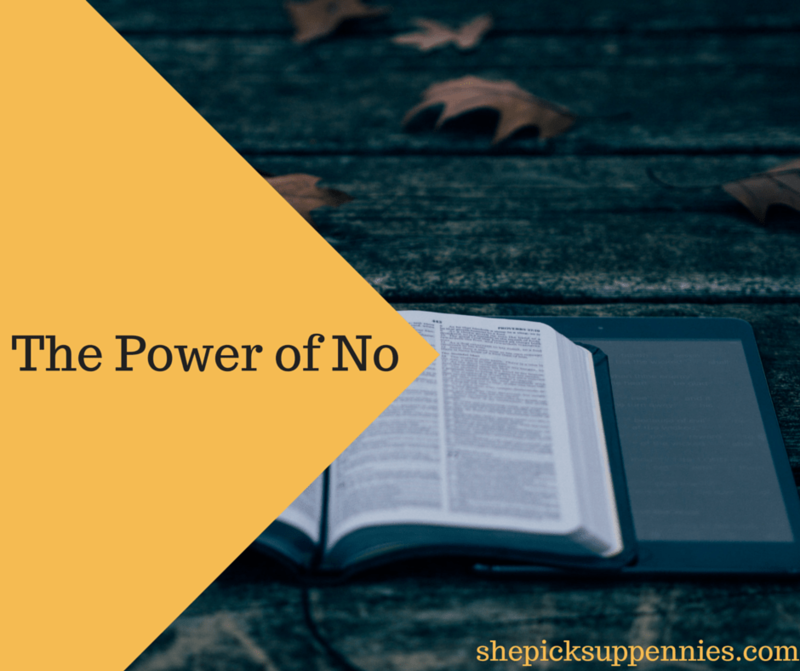 Inherently, there is a lot of power in the word no. The power to bring an end to something already set in motion. The power to stop things before a drop of life is breathed into them. The power to snuff out possibility. Undoubtedly, the person who utters those two letters possesses a great deal of power. But what about the listener? What about the person on the receiving end of the no? Traditionally, we view that individual as powerless, stymied, or at least momentarily suspended in time. But what if there is real power in being told no? What if that is how we develop the tenacity that is necessary to navigate finances and other aspects of our personal lives? If that’s the case, then what happens when we stop being told no? As a Soc, the speaker is a teen who never had to work, drives an expensive car, sports the most fashionable clothes (hello, Madras), and has basically spent his life with a silver spoon hanging from his mouth. This teen recognizes that his dead friend lived a very similar life of privilege. Instead of appreciating being dealt the upper hand or looking for ways to capitalize on the advantages he had been given, his friend became totally unmotivated and disenfranchised. What is interesting about this line is the fact that this privileged teen is delivering a soliloquy in which he equates denying someone of his wants with providing a foundation for life, a purpose, a direction. Not only is this a really compelling and provocative notion on its own, it becomes even more interesting when readers consider this is being said by one teen to another teen, and they both seem to accept it as truth. The most outstanding aspect of this line — “To have somebody lay down the law, set limits, give him something solid to stand on.” — is that it was penned by S.E. Hinton, a high schooler herself when she wrote the novel. Can privilege actually put someone at a disadvantage? Does materialism necessitate lack of gratitude? How would today’s consumerism culture impact the concept of no were it written in modern day? Does struggling in childhood make someone stronger as an adult? How can we develop and cultivate resiliency, grit, and appreciation? Rather than share my ideas, though, I thought I would share some middle-school student responses. As in my last post, these responses have not been edited for content. I did, however, correct a few errant commas* as needed. We need to be told no because if we aren’t, it doesn’t matter what we do. It will all seem okay. I agree because if nobody told you no, then you would have no limits and do whatever you want. I think it is bad to be spoiled, because people who are spoiled are usually materialistic. They have the latest and greatest stuff, but they are never happy. If the person is so grateful and never brags and is a good kid then no. It’s not a bad thing. I think that is bad to be spoiled because then you don’t know what it feels like for others who aren’t spoiled. Also, I think that we do need to be told no because if you have everything that you want then there is nothing for you to gain. If you got something that you wanted and you worked hard for it you would be more happy, then if someone just gave it to you and you did nothing to deserve it. I don’t think it is a bad thing to be spoiled but there is a time when you should have a few no’s here and there. *We’re working on grammar in writing slowly but surely. Simple sentences and compound sentences and complex sentences, oh my! So Tell Me…Do you agree with S.E. Hinton’s point? Were you surprised by any of my students’ insights? What would you add to the conversation about privilege, appreciation, or resiliency? Is there power in no? Omg, I’m about to write about the power of saying No thanks. It has saved me so much money these couple of days. Let me know when you post. I’d love to check it out! In the book “The Millionaire Next Door”, this scenario is played over and over again, with wealthy parents giving their children (well into adulthood) money to support the lifestyle they had when they loved at home with mom and dad. Almost always to the child’s detriment, of course, because they don’t need to support themselves if mommy and daddy do it for them. As someone who has a kid to spoil (which I worry about a lot), I have to say limits and structure are good. My kid has a lot of tantrums, but she knows they don’t work as a means of getting her way. I think she just doesn’t know what else to do with her emotions yet. She’ll look at me sometimes, and know I’m going to say no, and do something just to get the reaction. It’s the attention she wants. If I’m not saying no and setting limits, I’m sort of telling her not just that what she does doesn’t matter, but that SHE doesn’t matter. That’s an incredible way to look at it. And I think a lot of my students felt the same way – they just couldn’t quite articulate themselves. They seemed to sense that having been told no was incredibly frustrating when it happened, but it helped guide them to a purpose or learn something about themselves eventually. I remember reading the Outsiders in Middle School, and it drove me crazy. I remember thinking from the first chapter that the story should stop before it even started (Hinton does a nice job with foreshadowing, and I didn’t like it when characters did illogical things). I think that being told no when you are young is the only way that its possible to stand up for what is right when you are older (unless you pick it up somewhere else along the line). I also think its critical for parents to explain their reason for saying no though I would advise against attempting to use logic in the face of either toddler or teenage rage. Not a parent, but from working with teens for the better part of a decade, I completely agree that they “why” piece is really important for teens to hear. It doesn’t always sink in right away (does it ever for anyone?! ), but it’s crucial. It’s interesting that the high school students assume that “not being said no” and “being spoiled” are the same, and equate to “having everything that you want”. Clearly, in the example, the kid did not have everything that he wanted. He wanted a “no” and never got it. I think it’s easy for people to assume that “silver spoon fed” kids don’t have struggles of their own. I’d love to see people’s opinions on this. That’s the ultimate conclusion that they arrive at by the end of the novel – the greasers and the Socs face the same problems from the opposite sides of town. Or at least, that’s what I anticipate happening tomorrow! What’s even more interesting to me is that many of my students come from affluent families. It’s hard for 12-year-olds to be too critical or introspective of them own lives, but I hope this at least gives them pause. All the student comments are great, but I especially love the next-to-last one. Very, very insightful! Sigh. Yes, I think this principle has come into play in my life. In particular, I don’t think I quite appreciated what an amazing gift it was for my parents to pay for my college education, and I wish I had taken better advantage of opportunities like internships and that sort of thing during that time. I like to say that if I had college to do over again, I would do it SO WELL, haha. And I bet if I had had to struggle and pay my own way through college, I would have had quite a different perspective on it. We have a lot of conversations about this, as parents and as adult children, because it’s critical to establishing our own boundaries in our relationships with others. I agree with S.E. Hinton’s point. “No” is powerful and allows for certain limitations and the concept of not running rampant on ideas & actions. If you are told “no,” you may have to use creativity & problem solving to overcome that “no.” I think when you are put into a position of getting told “no” you develop new connections, skillsets and motivation that you may not have discovered before. Or sometimes, when you are told “no” you may take a step back & realize that it was all for the best possible outcome, that someone was looking out for you (I remember getting told “no” in certain instances by my parents & the outcome of what unfolded turned out to be 10x better – parental intuition)! What are the implications of a kid/teenager inheriting this wealth without knowledge? How do their parents provide boundaries, limitations? I could see how this could become problematic. I think your students have caught on to that as well at a young age! I think the main word my dad knew when I was growing up was “no.” And it definitely had a positive impact on me. He made me earn things. It seems to me that history has a lot more examples of people excelling after they were told “no” than people just falling into success… and they’re the examples that our society seems to hold in higher regard too. Yes, This. The power of No!